Peter’s Steakhouse in Isleton, CA, has a 6,800 square foot dining area, features a full bar and luxurious seating for 135 downstairs. Peter and his wife Yee are also the owners of Pineapple’s Restaurant in Isleton. Peter is the former cook at the Del Rio Hotel and features his famous prime rib at the new Steakhouse. 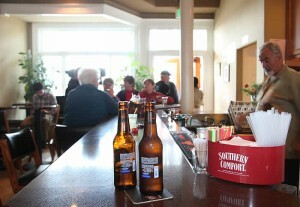 The upstairs banquet hall has been beautifully restored and a large deck overlook the Delta and Main Street. One of Peter’s Steakhouse’s main features is the banquet room, which can hold up to 95 people. It’s perfect for weddings, banquets, fundraisers or large dinners. The view from upstairs is breathtaking, and is ADA accessible with an elevator and immaculate bathrooms. 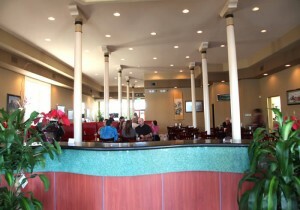 Peter’s has offers great food and a friendly atmosphere along side of the Sacramento River. Come join us!